My lady Tisha, and I are big into using nutrition for maintaining our general health and well being. So, I thought I’d share what we did a few weeks ago, and will be doing again soon. We went to our local organic farmers market to purchase vegetables. In addition to the basketful of veggies, we purchased a whole free range chicken that had just been slaughtered. After bringing it all home, we roasted the chicken with fresh herbs and spices, accompanied with a huge bowl of salad greens and sauteed veggies. It was very tasty and healthy. We were grateful and felt blessed afterwards. Then, came an important question… What do we do with the carcass? 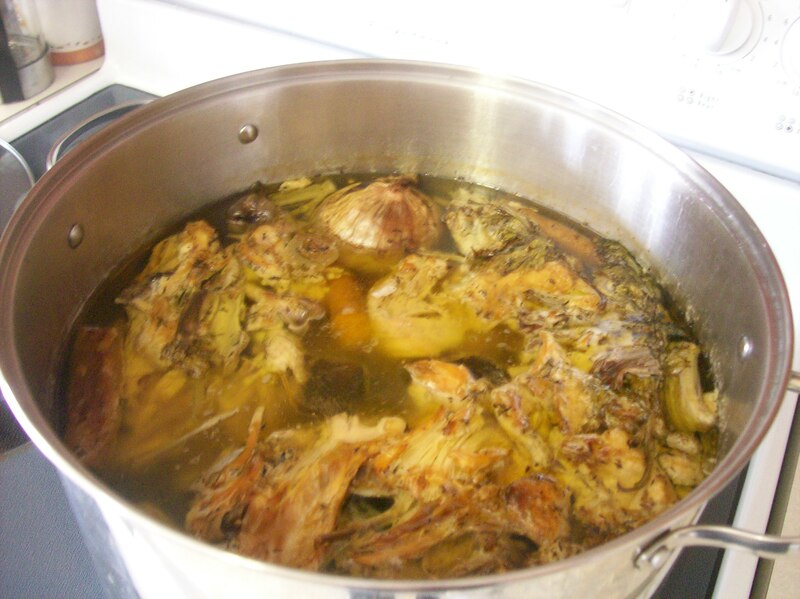 Make bone broth! This process is simple, and none of the chicken was wasted. For 24 hours, we boiled the bones down, using filtered water and apple cider vinegar to draw out the minerals We added various veggie scraps, onion and garlic for flavor. This stock or broth now becomes a superfood stock. I added kale, chard, and collard greens to the stock, and continued to let it cook down. We also added mushrooms, and more healthy herbs and spices. From one trip to the local farmers market, we had meals for several days . I suppose what I am saying is that we can all learn to eat healthy, be cost efficient, and support local markets. It only helps ourselves, and our community! Jozzy is an advocate for health and wellness, of body, mind, and emotions. He shares “what works for (him).” Jozzy also spins fire and cooks creative cuisine.